"We were referred to Mountainscape Realty and couldn’t be happier that we met Joe and his team. Working on a tight timeline to get relocated to the area, Joe and team provided us with great advice at every step of the process enabling us to find a great home and make our move a success. From their excellent website, great communication, sound advice and in-depth knowledge of the area Mountainscape Realty made the process of buying our home in West Jefferson very seamless. I would recommend Joe and Mountainscape to anyone in need of a realtor in this area without hesitation, truly a great experience." "We recently purchased a beautiful log home near Boone. Several months ago we contacted MountainScape Realty. From the beginning Joe was totally professional. He was patient, showing us many properties over several visits to the area. During negotiations with the sellers he gave sound advice and stood up for us as buyers. Over the years I have purchased a number of properties but never have I had the kind of service and attention to detail Joe Chamberlain gave us. I would strongly recommend MountainScape Realty to anyone buying or seller their home!" "My husband and I were in the market for a vacation/retirement home in the mountains of North Carolina. We looked at many listings online and were shown several houses by several agents. But it wasn't until we started working with Sue Leserra that we felt as if we were truly being helped. Not only was Sue willing to take us to see any house we wanted to see, regardless of how far the drive was, she had done her research on each house and the areas and was able to point out pros and cons of each property. Since the house we were looking for would end up being our primary residence when we retire, we were a bit picky, but Sue was patient with us and bent over backwards to help us find just the right one. And once we found the house we wanted, she was invaluable in the preparations for the closing on the property. The bank we used was being somewhat difficult and we would have given up if not for Sue's persistence and vast knowledge in working with the bank.Thank you Sue and Mountainscape Realty for getting us into the home that is perfect for us!" "From the moment we were referred to Joe at Mountainscape Realty we felt like we were his top priority every day. As first time homebuyers, we had a lot of questions and not one went unanswered. Joe is professional, thorough, kind, and patient. He is very competent and guided us every single step of the way. Not a day went by that Joe was not communicating with us and because of this, our experience was so much easier than we ever imagined. He made a stressful process a little more enjoyable and could always put us at ease. We always knew if we reached out to Joe he would answer very quickly and would explain everything so we could easily understand. We would recommend anyone looking to buy property to go to Mountainscape Realty. You will not regret it!" "Sue LeSerra was great for so many reasons! She really rose to a difficult challenge as I was looking for a property outside of the state where I live, in an area totally unfamiliar to me. The process required endless questions on my part, pouring through listings over the phone and email and several visits to the area. She spent hours with me over the phone and in person... one in-person meeting was an entire day of showing my wife and I property on a Saturday! She injects humor, quick insight, patience, friendliness and encouragement into every conversation and was very responsive. By the end of the almost 3 month process, we found a home we absolutely LOVE for a good price and I feel like I've known Sue for years. There is nothing 'cut-throat' nor 'soft/wimpy' about Mountainscape Realty. It is clear that Mountainscape and Sue love the High Country of N.C., care about the clients they serve, and are organized and on top of their game without any air of superiority or snobbishness. I would do business with them again and highly recommend Sue to anyone looking to buy or sell a home in the area. A quick shout out to Joe Chamberlain too! :)"
"We feel so lucky to have stumbled onto Mountainscape Realty online. Their daily email updates about new listings in the area was how we initially discovered our "dream cabin" and were able to make arrangements to quickly schedule a showing for the following morning. We were fortunate as well to be able to work with James Kemper. The minute we saw the cabin and property, we knew it was "the one". He made sure our offer was delivered right away so that it was the first accepted. He was always available to us and never made us feel like there was a question or issue that was too small to deal with. James was great about helping us with all the necessary pieces that go into making sure the closing goes smoothly. It was a delight to have someone there to help explain the process and see it through smoothly. We would heartily recommend Mountainscapes Realty, and especially realtor James Kemper, to anyone looking for a primary or secondary residence in the High Country. We are so excited to be able to call this area our new home in our beautiful cabin!" “I just wanted to say a few words about Mountainscape Realty. Everyone I have talked to there has been very helpful in trying to find a piece of property for me. I know that when I called Mountainscape I called the right place”. "My husband and I recently relocated to Ashe County and purchased a home in Jefferson Landing. Joe and all of the Mountainscape team were wonderful to work with and very helpful to us. Joe showed us around the area, made himself available for all of our questions, and helped us find the folks we needed to help us get the house ready to become our home. We would highly recommend them!" "My wife and used Joe Chamberlain with Mountainscape Realty to list and sell a home in 2018. The property had been a rental for us and we decided to sell so we were not onsite. Joe did a great job, always keep us informed of different showings, potential buyers comments and offers. He made sure than when the house was under contract that everything went as well as could be expected. I would recommend Joe to anyone and in fact have already recommended him to several other people." “I engaged Mountainscape Realty to list two of my properties in Ashe County, NC. Joe Chamberlain was my agent and did an outstanding job in marketing and selling both tracts of land. I have known Joe for several years and always been very pleased with his prompt responses to any questions I have asked him and have admired his zeal and hard work ethic he has used in enabling the sale of my properties. Joe was always very knowledgeable, informative and I believe instrumental in securing for me the best price for my property possible. I would recommend Joe to anyone seeking a hard working and ethical realtor to manage the sale of their property." "Sue LeSerra worked with my sister-in-law to find and purchase a great house that met her wants and needs when she moved from Richmond to Ashe County. Sue went out of her way to suggest and show her several properties until she found what she was looking for. Sue is very professional and handled everything expertly before, during and after closing. Give her a call if you're looking for a friendly, accommodating, professional agent!" "Joe was instrumental in the successful buy of our house in West Jefferson. He was patient as we worked through the possible candidate properties. The offer/negotiations and closing went smoothly. 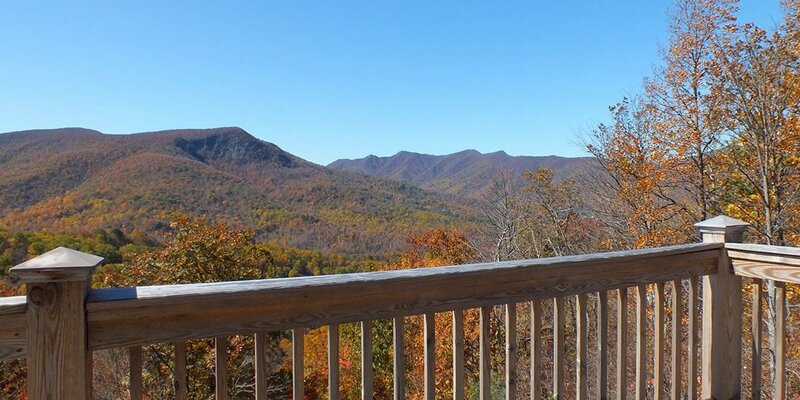 We would recommend Joe to anyone interested in NC High Country real estate." "We worked with Sue Leserra. None finer! We would not have closed without her extra work. She was the glue that held everything together. We live three hours away from the cabin. She found a plumber to resolve an issue and she found an attorney at the last minute. I can't say enough about how much she helped." "As first time home buyers, my husband and I wanted someone who would work with us on finding the perfect home for our family. We found MountainScape Realty and we are beyond satisfied with the business they provided us. Joe listened to all of our wants and needs and was able to find the perfect home for us. If you are looking for a new home, I recommend MountainScape Realty!" "We couldn’t have had a better real estate agent than Sue. She showed us a wide range of houses in our price range. When we finally found the house we wanted, she found out all the necessary information we needed. She is definitely an asset to your agency and any folks looking for a home." "Joe Chamberlain and his Mountainscape Realty team have our highest, most enthusiastic recommendation as the premier "go-to" real estate experts for anyone seeking to acquire property in the Ashe County area and/or in the surrounding region. Highly professional and knowledgeable, Joe and Sue Leserra provided us with exemplary service and support throughout our recent real estate purchases in Ashe County, and they expertly facilitated the smooth, flawless execution of both transactions. In addition, Joe is a U.S. military veteran, so he has an intuitive understanding of the needs and concerns of veterans who are looking to transition into the Ashe County area, which was very important to us after our 30 years in the U.S. Marine Corps. Our overall experience with Joe and his Mountainscape Realty team has been simply outstanding, and they have our strongest possible endorsement. We will definitely be doing business with Joe and Mountainscape Realty again in the future. "Complete service from start to finish. As first time sellers my wife and I were navigating through unfamiliar waters, but Joe and his team lead us through each step of the process with complete confidence and care for our concerns. The team at Mountainscape had a thorough understanding of the different scenarios that could arise (some of which did) and of how to deal with them. Their market knowledge helped us to gauge the right price for our home and what to expect through every turn. After receiving what we thought was the best possible price for our house we sold, we then enlisted him for our next purchase. Joe showed us every house within our budget, and after agreeing to wait for the right house to pop up, we got the call saying he'd found another for us to see. It was exactly what we'd been looking for and his team went to work. We've been in our house for a month now, and couldn't be happier or more gracious to the team of Mountainscape Realty for all of the relentless work!" "Thank you so much Scott for all of your help! We could not be happier with our new vacation home. We have worked with many realtors over the years. You are by far the most dedicated and the most knowledgeable agent that we have ever worked with." "Joe Chamberlain helped us find a great deal on a beautiful property in Crumpler. Mr. Chamberlain is extremely professional and extremely helpful. He was available on weekends and nights to assist with questions and concerns. I highly recommend Mountainscape Realty"
"We were fortunate enough to meet Sue Leserra via email since we lived out of state. She was determined to identify our exact needs and worked hard to find homes that fit our criteria. We were continually updated on available properties and any changes in the marketplace. It was truly exceptional service with a friendly touch. Our entire family was more than satisfied and that is the truth. Sue, you are a great Realtor!" "Joe, just wanted to thank you very much for all your hard work. We have been looking for a long time and you have always been very helpful, knowledgeable, and really quick with any questions I have had. It was a pleasure working with you and you made the whole process easy and less stressful than I ever expected it could be, even the closing. I would highly recommend you to anyone. Thanks again and I'll talk to you soon." "Scott Cronk is my realtor. He was professional, efficient and well informed from the start. We looked at multiple properties before deciding on an old farmhouse. He was great with detail and keeping me informed of all the things going on with the sale of the property. I highly recommend his services." "Joe was a pleasure to work with. My wife and I wanted to take advantage of the low housing prices and low interests rates to buy our retirement home. We knew we wanted to be along the Blue Ridge but did not know about the specific communities. Joe's knowledge of Watauga and Ashe counties was invaluable. He showed us dozen's of houses and found the perfect house for us. He also expedited the closing and has continued to help us as we settle into the area. Thanks Joe!" "Sue Leserra was FANTASTIC! We had been searching for a place for many years. Sue took the initiative to contact us when she saw that I was stalking properties on their website. Because of Sue, we found our dream home in the mountains! We cannot say enough about how much help she provided and how patient she is. We now consider Sue a friend! We highly recommend that you contact Sue if you are looking for property in the area!! Love you Sue!" "Joe worked with us for over a year to find our perfect tract of land. He has the in-office technology to be able to show you the lay of the land you are looking for and the machinery to be able to take you out to see the tract for yourself. He is patient, professional, and knowledgeable about his business. I highly recommend him for anyone in the high country who wants to buy or sell a piece of property." “Scott, thank you so much for all you did to sell my house and purchase another! You were so helpful, knowledgable, and always available. I cant believe my house sold so fast and I found the perfect new house! Thanks for everything! "We had the most wonderful experience from Mountainscape Realty. Amber Murphy was our realtor and she worked tirelessly, even when things did not go as expected with the bank. When things looked bleak, Amber rose to the occasion and dealt with the bumps in the road that were unexpected, and handled matters that we were unable to handle beyond our area of expertise. She kept the chain of communication open to help us pursue our dream of owning the perfect mountain home. Not only did she show us twenty-five homes, but she seemed to instinctively know what we were looking for. When we grew frustrated, she kept her cool, and helped us through every step of the process. She even had information about the best places to go to get financing. Now we have just the right size home for us with an incredible view. Amber was very knowledgeable and we would recommend her to anyone in the market buying or selling a property." "I listed a property with Joe and his team at Mountainscape Realty. I was, and continue be, impressed with Joe's commitment to his customers. He and his team continued to communicate with me throughout the listing period to explain steps they were taking to market my property. Further, I like that Joe is committed to a balanced and fair experience for both the seller and the buyer. I like Joe's approach to the business of selling real estate and would list with him again." "When we decided to buy a home, we went through a veteran organization since my husband is a disabled vet. They contacted Joe Chamberlain. Joe went above and beyond in his effort to find us our home. Whatever obstacle came up, Joe helped us overcome it. If you are a veteran needing a home, Joe is the person to see. We are now in our home and enjoying each day in it. If you need a home, Joe and his team is on your side. We recommend Mountainscape Realty. Thanks Joe". "It was a real pleasure to work with Sue LeSerra and Mountainscape Realty in making our Ashe County vacation home a reality. Sue was very reliable and professional, and the whole process went smoothly. Also, Sue has continued to be a great resource for us as we needed information on various services to make our new home just as we want it to be. It is great having the caring, friendly and helpful relationship we have experienced!" "Joe Chamberlain, owner of Mountainscape Realty, made buying a home in West Jefferson a very enjoyable experience. He explained the process and lead me through each step from the beginning to the end, always keeping me informed and up to date on the proceedings. I couldn't have asked for things to go any easier or better. I highly recommend Mountainscape Realty." "Our dream to have a second home in the mountains became a reality with the help of MountainScape Realty and its owner, Joe Chamberlain. We found the realty company online, registered with an email address, was contacted by Joe, and the potential home-buying process started. We came to West Jefferson and met with Joe to look at homes. He had background information of our wants, so we looked at homes, he showed us the area, and devoted his entire day to our search. Within 10 days we had a contract on the "perfect" log cabin. Joe communicated with us by email or phone almost daily. He thoroughly explained everything, which made us feel at ease with our decision to buy. Thank you MountainScape Realty and Joe for making our dream come true." "Eric Brooks is the realtor who sold me my cabin and he definitely earned his five stars. My loan is with the VA and they can be sticklers for details. Nonetheless he persevered and jumped through all the VA hoops. He was helpful and patient throughout the whole process." "Stacey Hamilton and the team at Mountainscape Realty were a pleasure to work with. They located the perfect property for us and helped us through the purchase process seamlessly. We live three hours from the house we bought but were able to rely on Stacey to handle everything related to the transaction including lining up service providers to carry out inspections, working with the mortgage company to answer their questions and ensuring that the house was in good order prior to closing. A great experience! We would definitely recommend Mountainscape Realty and Stacey to anyone searching for property in the high country." "Thank you Scott. I will let folks know about you if their interested in property up your way. Kate and I couldn't be happier (We both think you did a wonderful job). Thanks again!" "I called and talked to the owner Joe Chamberlain. He was pleasant and helpful over the phone so my wife and I arranged to meet him in Ashe County. We hired Joe to help in our property search, and he did a great job for us. In fact, we are now neighbors because we ended up buying property adjoining land that he purchased for his family home when he relocated to Ashe County. Our special thanks to our realtor and now neighbor, Joe Chamberlain for his invaluable help." "We are so excited about our new Mountain Home! Would we use Sue Leserra again? The answer is definitely “yes”! We were very pleased with Sue and all the diligent work that went into taking us to look at homes and making it possible for us to win the bid on our current home. We definitely could not have done it without her strategic plan! We would recommend Mountainscape Realty, and especially Sue, to anyone interested in buying a home in this area of the NC Mountains." "We had a phenomenal experience with Amber at Mountainscape Realty this past year. We contacted Amber by phone after seeing a foreclosure property online. She responded to our inquiries immediately with additional requested information. She was never pushy or aggressive with sales in any way, ever, but made herself fully available to us. She was always pleasant, professional and very accommodating to our schedules since we lived out of town. Amber took care of everything from helping us secure financing, meeting with the inspector, taking pictures of the property, helping us find contractors for repairs, getting repair estimates, letting workers into the home, giving us a long and thorough list of reputable service providers, making trips out to the property for incidentals, and even sent us an informal history of the home from a prior realtor. Amber went over and above, and because of this we developed a trust of her that enabled us to not worry and better enjoy the process. The providers she suggested to us were all excellent, and we have continued to use their services and trust them as we trusted her. She took complete ownership of the process. We would highly recommend her services to anyone." "Amber Murphy did a first rate job in helping me find my forever home. She was tireless, diligent and professional throughout the house hunt and through to the closing. She went out of her way to assist me in any way she could." "We so appreciate Eric Weaver's patience, professionalism, his great knowledge of Ashe County, and all his time and effort in helping us find this wonderful home. He is certainly an asset to Mountainscape Realty in all ways." "Sue LeSerra represented us in a transaction to purchase mountain property in Ashe County. She was very professional and efficient in providing her services. We appreciated her personable approach to her telephone calls and emails. Although we never met Sue personally, we would definitely recommend her to others seeking real estate in the North Carolina high country." "We have been very satisfied with the assistance Eric Weaver of Mountainscape Realty has given us. On many occasions, Eric has accommodated us in our search for a home in Ashe County. His knowledge of the county is invaluable. Eric is a professional realtor who is personable and honest." "Eric was immensely helpful in helping us find just the right place, always willing to meet us wherever, often on very short notice, and also proved tremendously helpful in assessing the "needs" of the various places we were considering. As a first-time home-buyer in need of some hand-holding along the way, I couldn't have asked for more. My thanks to you and to everyone at Mountainscape, for your professionalism and patience." "My husband and I recently sold our rental home in Jefferson in November 2013. We had the house listed with another real estate agency for 2 years and had to resort to renting the house since we received hardly no interest in the house. The market was slow, we were told, so we decided to rent the home for a couple of years and took the house off the market. Stacey Hamilton stayed on top of all maintenance issues, renters concerns as well as our owner concerns. We decided to put the house on the market again and Stacey quickly brought in many interested buyers. Stacey helped us sell our home within 2 months, going above and beyond with accountability, professionalism and integrity! My husband and I are so impressed with the how quickly Stacey gets things done; his friendly, small-town manner combined with his dedication and motivation is a winning combination!" "My husband was working in Jefferson last summer and was offered a permanent position. We needed to have a house right away. My search had to be done long distance with only two days to house hunt in town. Amber worked with me on the computer, listened to what we were looking for and had everything lined up when we arrived in town. Being from the area she was a wealth of information which was very helpful in finding the best area for us to buy in. We found the perfect house and then had to deal with financing. She was right on top of every issue that came up and was prepared so there were no delays in the closing. She was friendly and helpful but most of all efficient. We would not hesitate to use her in the future ventures and have recommended her to others coming into the area."